Notes to self: "A little spice goes a long way," "Less is more," and "It's all in the details." 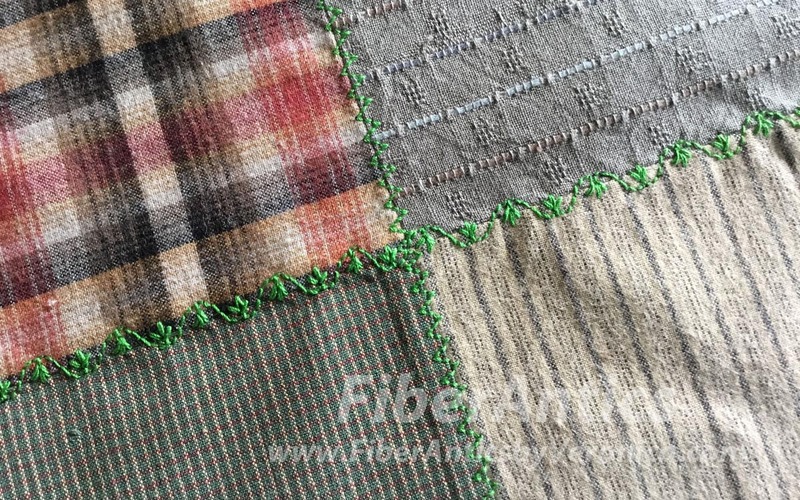 4 patch blocks with decorative machine stitching. Yarn-dyed wovens from Diamond Textiles. 12 wt. Spaghetti by WonderFil Threads. These 4-patch blocks were pieced with squares from a charm pack from Diamond Textiles and leftovers from jackets I made with these fabrics. These yarn-dyed cotton fabrics are rich with texture. 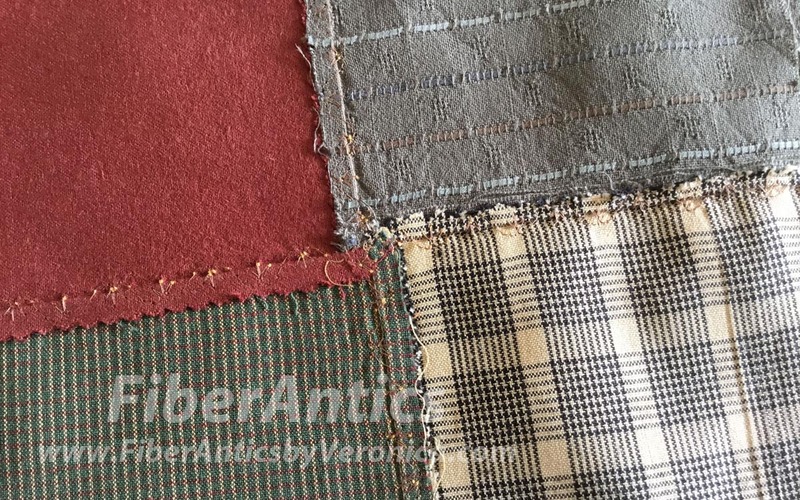 Some have a pronounced plaid or check while others have a more subtle pattern. A few have a brushed surface. They all whisper, "comfort." My original ideas was to combine the 4-patches with wool appliqué blocks. Auditioning the 4-patch blocks with wool appliqué. But there needed to be a better dialog between the brighter colors of the wool and the 4-patch blocks. Enter: 12 wt. 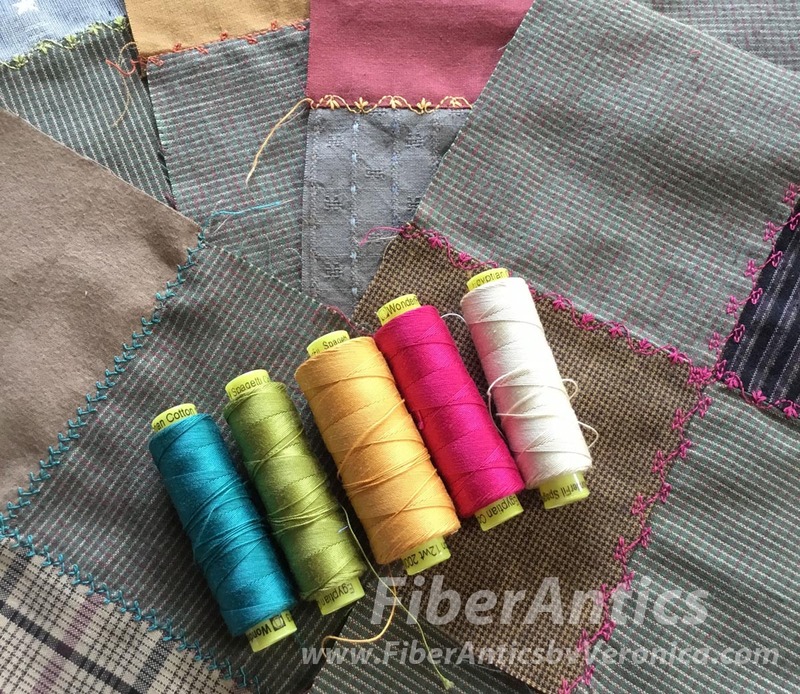 thread (Spaghetti from WonderFil Threads) and decorative stitches! 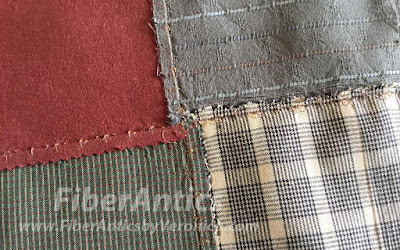 Sewing across the seams with decorative stitches. 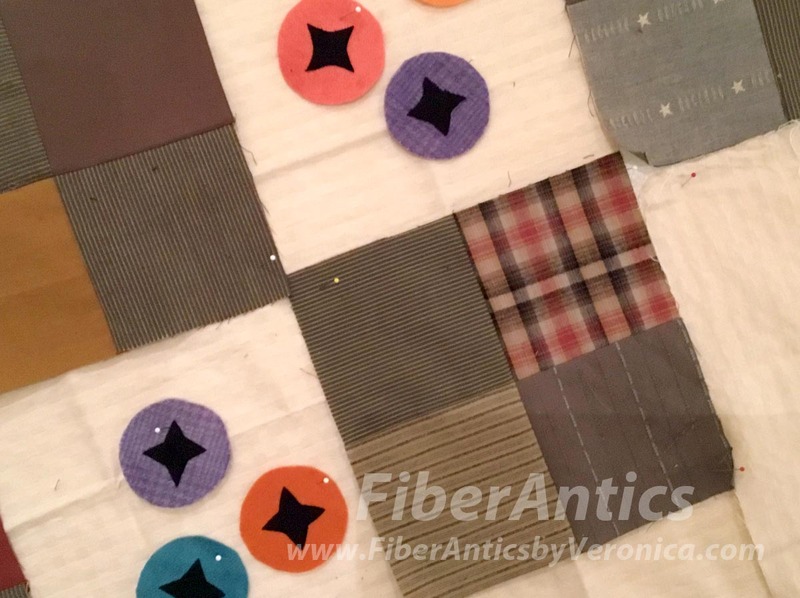 Putting my sewing machine's built-in decorative stitches to work not only started the "color conversation" but it was fun to experiment with fabric pattern and stitch combinations. 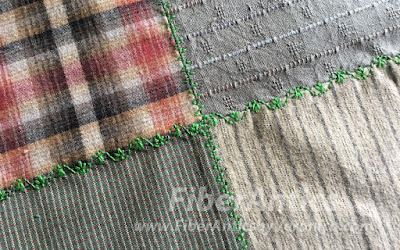 Decorative machine stitches using 12 wt. thread. WonderFil's 12 wt. cotton thread holds its own. 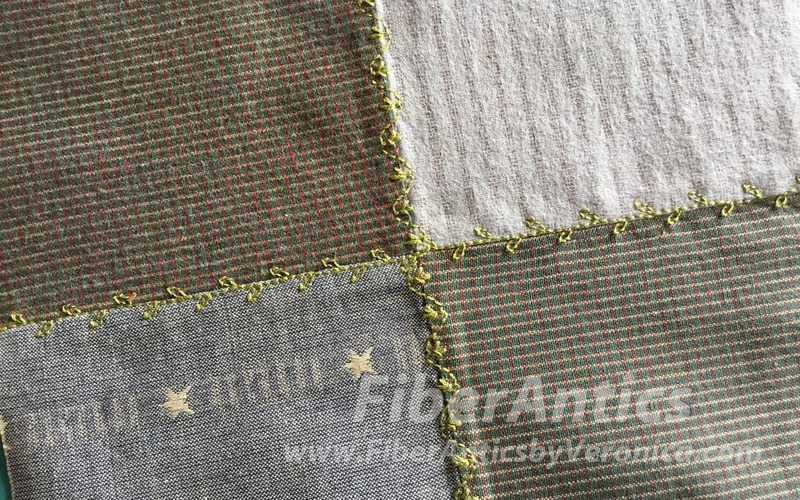 The decorative stitches add detail and color to the blocks. I do like to "spin" the seam allowances at the intersection of the 4-patch blocks (see photo below). 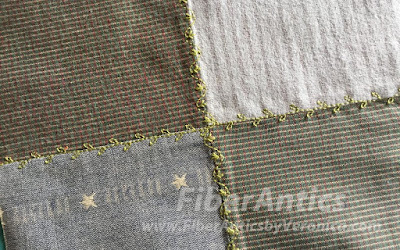 This makes a flatter seam and easier sewing of the decorative stitches across the intersection. You will be thankful you used this seam allowance technique when you get to the quilting step, too. Spinning the seam allowances on the 4-patch blocks. I am pleased with how this sprinkling of decorative stitches is adding a wonderful new flavor to my 4-patch blocks. 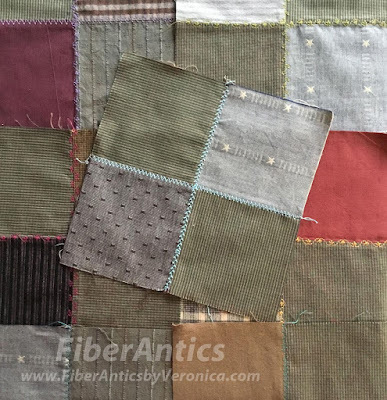 4-patch blocks with decorative machine stitches in 12 wt. threads. Hey there, blog stalker: do you add decorative stitches to your patchwork or appliqué?